This lady ^^^ became so incensed when her daughter refused to participate in Bible study last week she beat her with an electrical cord and stabbed her with a knife. 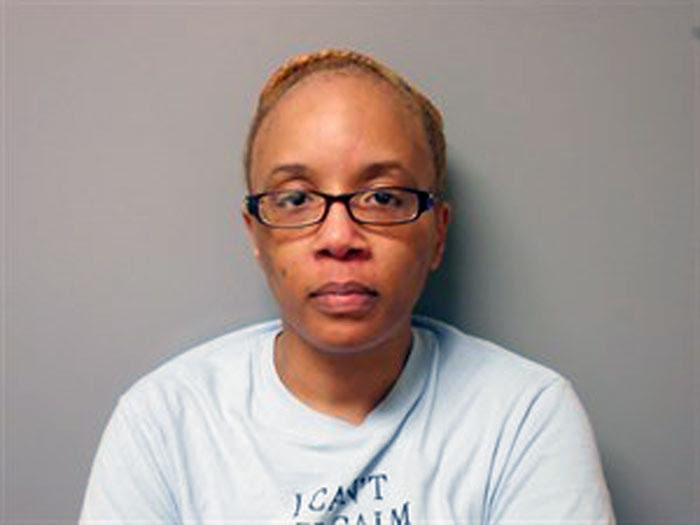 According to police, Lasonia L. Tucker, 41, of Jonesboro, Arkansas told them she and her children “normally have a Bible reading on Sunday.” But when her 18-year-old daughter refused to cooperate last week and “mumbled” her verses, she said she became angry and “grabbed an extension cord and began whipping” her daughter. The daughter held onto the cord and refused to let it go, which led to Lasonia taking a 4-inch serrated steak knife from a butcher block and held it out toward her daughter to make her drop the cord. Laconia told police she then the knife “accidentally struck the top of [her daughter’s] right hand.” She washed the knife and placed it into the sink as her daughter -- who was not seriously injured -- called police. Lasonia was arrested and charged with aggravated assault.